Jewelry Display Cases,Glass Jewelry Showcase,Jewelry Wall Showcase-www.jovafurniture.com. This cosmetic showroom design located in Cambodia, made at December 2017. The whole cosmetic shop furniture finished in 2 months from design to manufacturing to delivery. 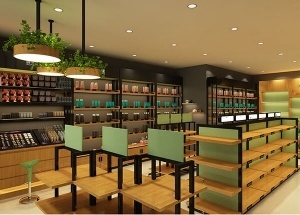 The cosmetic shop interior design is for a small cosmetic shop. It had cosmetic display racks, cosmetic gondola, round perfume cabinets. 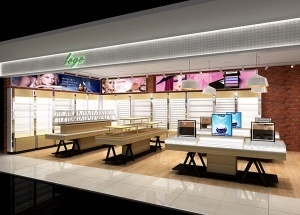 contact us for the latest cosmetic shop interior design ideas. The jewellery showroom design 3d drawing, we supply all in one service: measurement shop size, 3d shop design, production jewellery showcases, shipping, installation service, after service. 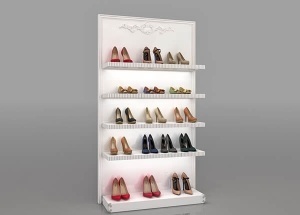 This shoe wall display: white baking finish, laminated deck, 5 shelves, logo, toe-kick. It's widely used to display handbags, shoes, gift, digital product and so on. 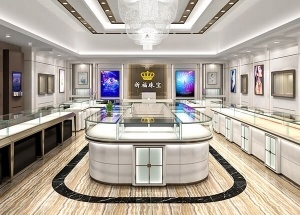 This jewelry store design project was for LOL xingfu jewelrs brand in China. The cosmetic store furniture is for a retail cosmetic shop. 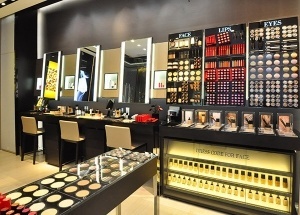 We are cosmetic display stand manufacturer, do makeup shop design and cosmetic store furniture manufacturing. This design of jewellery showroom was for a jewellery shop project in USA. 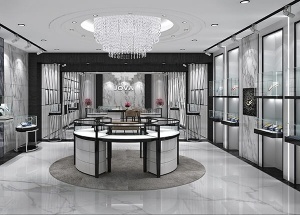 The jewellery showroom display mainly black/silver stainless steel, toughened glass and marble. 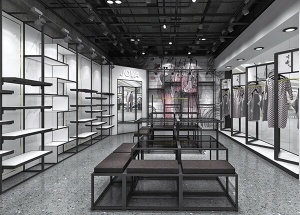 We are lady clothing boutique store fixtures manufacturer, offer free boutique design ideas for cloth, boutique store fixtures and supplies manufacturing. 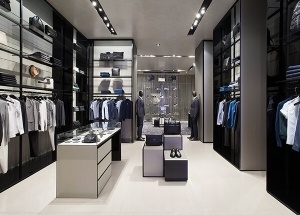 This boutique interior design ideas is for armani woman shop. We are lady clothes shop display manufacturer, contact us get the last clothes shop design ideas.